4 large leaves kale, stemmed and very finely chopped. Optional- Radicchio or lettuce leaves for serving in. Bring quinoa and water to a boil then reduce the heat and simmer until all the water is absorbed about 20-30 minutes. Stir occasionally to be sure the quinoa isn’t sticking. The quinoa can be pre-made up to three days in advance. In a large bowl combine all of the vegetables, nuts and chickpeas. Add the quinoa and combine well. Fold in half of the rasberry vinaigrette. Let the salad rest for half an hour. Taste and add more vinaigrette to taste. 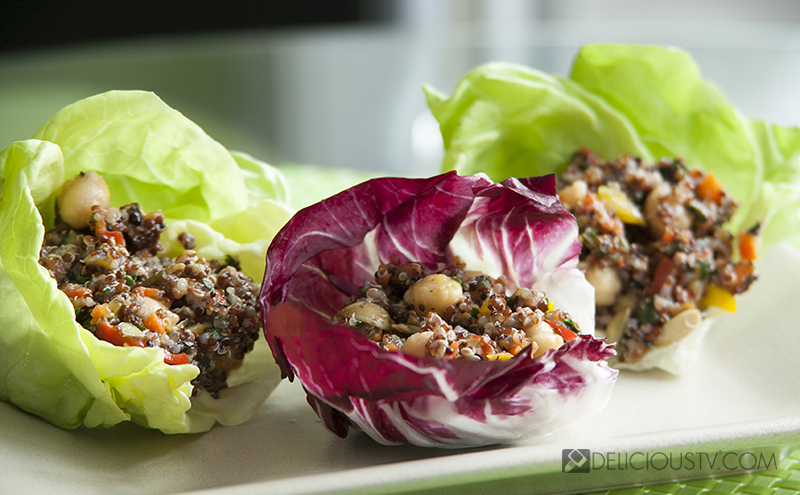 Serve tucked in radicchio or butter lettuce leaves. This salad keeps well and the flavors enhance over a few days time! 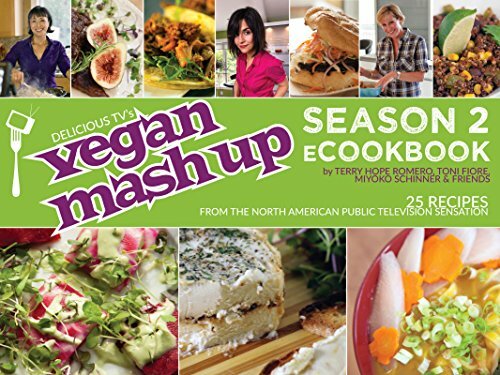 Find recipes for Delicious TV's Vegan Mashup here.